The aim was to develop an integrated, cohesive management development programme to support managers taking on their first line management role. The CMI accredited programme would be closely aligned to the Commons’ competency framework, replacing an existing and largely unstructured provision of face-to-face courses. This highly successful programme ran for four years with 14 cohorts completing the programme. Such has been the success of the programme that GBS was commissioned to design and deliver a second major ‘Maximising Performance’ programme for the House, a series of interactive workshops developing all managers (Executive Board to first line levels) in a new performance management culture. 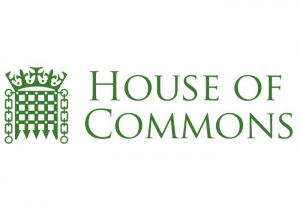 GBS was awarded the contract to design and deliver a blended management development programme focused on the needs of first-line managers within the House of Commons Service, the administrative organisation that supports the work of the Commons and its Members. Having completed a high level needs analysis a learning design proposal was agreed with the Head of L&D. A sample blended module from the proposed programme was then fully developed, quality assured and piloted as a ‘proof of concept’. • online post-work, including evaluation. The remaining modules were then designed, alongside the programme’s online ‘portal’ and support materials, and the whole programme piloted with a carefully selected cohort of managers. With the House taking responsibility for identifying candidates for the programme, GBS provided full online administration via their LMS BlendAbility™ issuing call-ups, reminders and providing the House with comprehensive online evaluation and reporting. Specialist trainers were selected to deliver each module. The interactive online pre-work for each module focuses on enabling participants to develop an understanding of the underpinning knowledge and theory for each subject area, as well as encouraging them to reflect on how it applies to their own role and responsibilities. This enables participants to ‘hit the ground running’ at their workshops, resulting in workshops that are shorter and more focused on developing practical skills and application – maximising the value from the time spent away from the business. Participants are also able to submit and discuss their personal learning objectives, helping trainers to tailor modules to better meet individual needs.